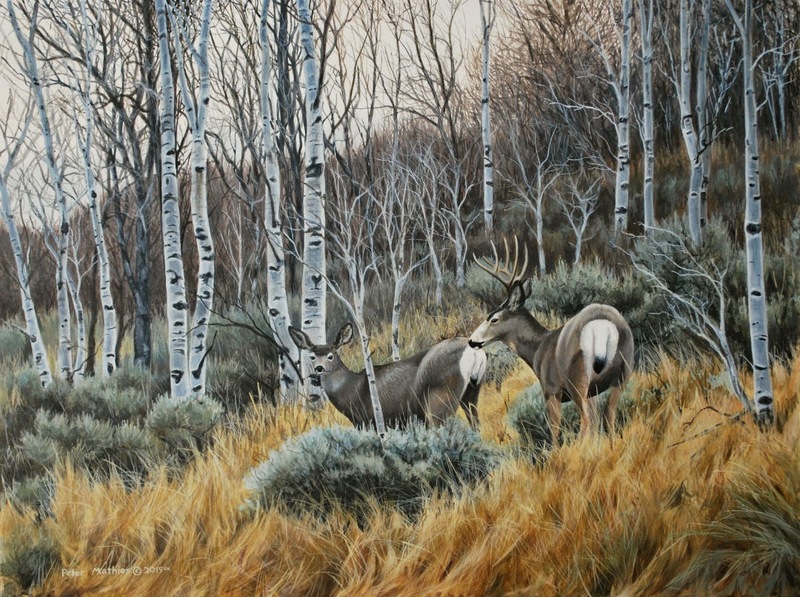 November Aspens 18" x 24"
Among the late November aspens, a mule deer buck keeps a close eye on this doe as they move into the late rutting season. This species of deer is found throughout the western United States particularly in the high desert and is know for it's large mule-like ears which are excellent for picking up sounds at distance. Cougars are it's main predator.